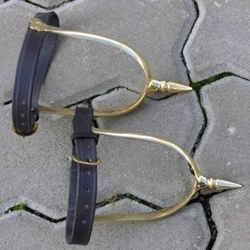 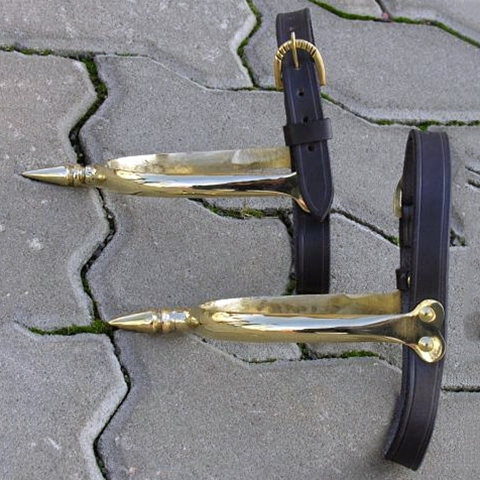 This quality pair of Norman Period Knightly Spurs, from the 11th Century, are functional, hand made brass medieval spurs. 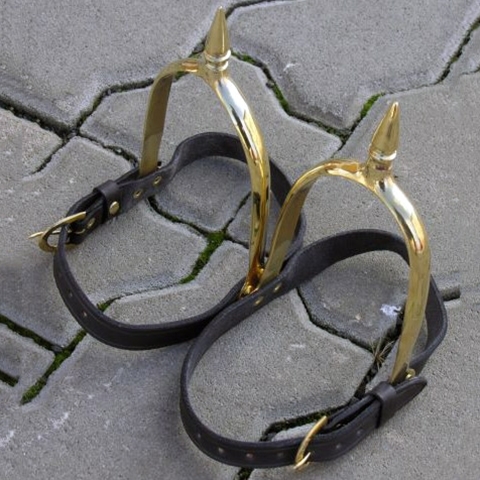 They are sized to your shoe measurements and sold as a pair. 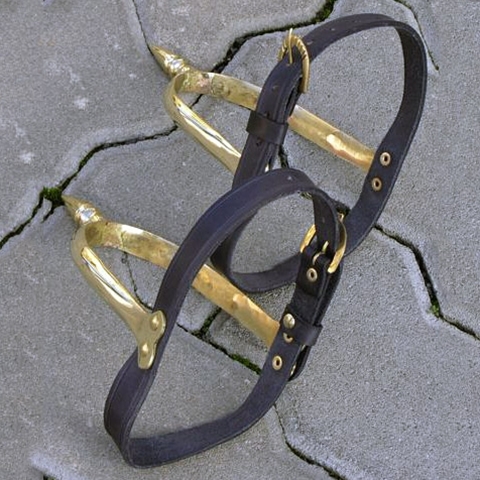 Includes leather straps with accurate buckles.